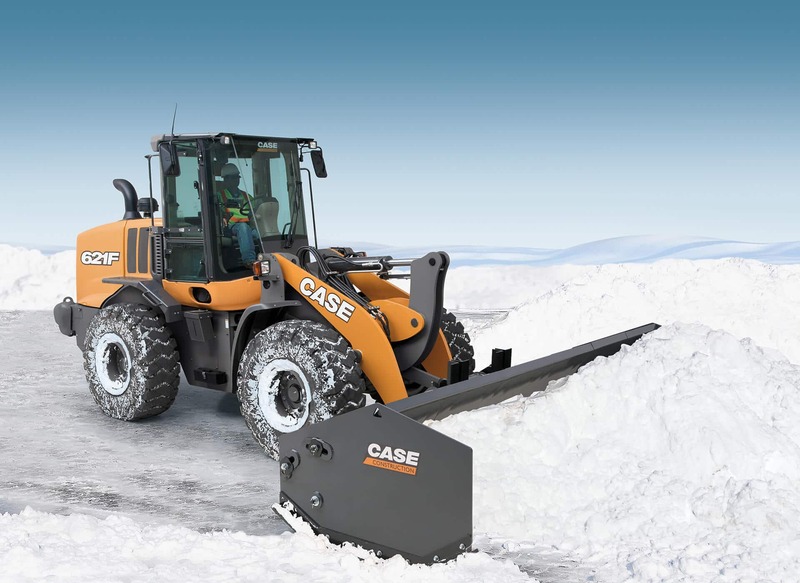 The CASE 621F wheel loader continues to bring to the worksite a tradition of reliability, performance, and efficiency. New powertrain and Tier 4 SCR engine technology offer the 621F significant gains in performance with up to 16% reduced fuel consumption per hour and the CASE exclusive POWERINCH, an intelligent declutching for tight operating environments such as truck loading. Efficiency is optimized by matching power to each task with four programmable power modes. 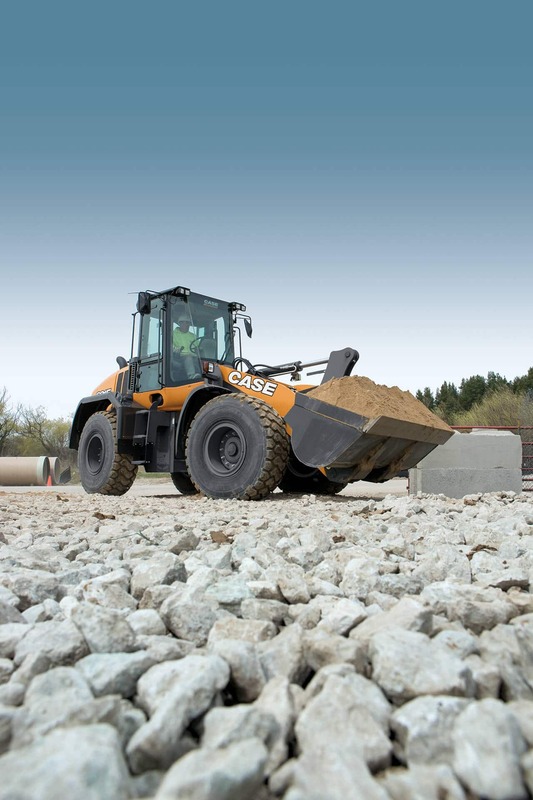 The Ride Control™ option provides excellent material retention and better machine control when moving over rough terrain. This unit is also available with XT (Tool Carrier) or XR (extended reach) linkage and specialty configurations for even greater versatility and productivity. 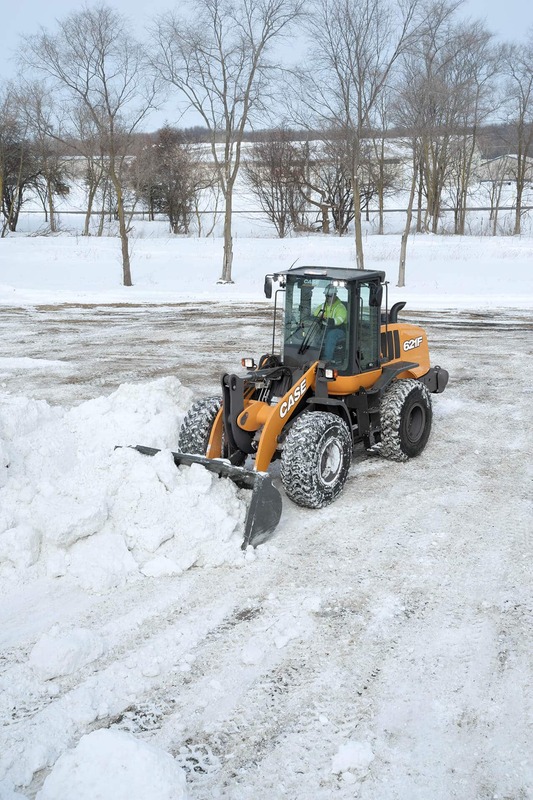 Because of their idle-heavy applications and variable power demands, SCR (Selective Catalytic Reduction) Tier 4 Final technology is a fitting choice for this mid-sized wheel loader. As an after-treatment system, SCR lets the engine run at peak performance, which provides faster throttle response while also maintaining lower temperatures and delivering up to 20% better fuel efficiency over other solutions. Best yet, SCR is simple. No Diesel Particulate Filter regeneration or replacement. No extra downtime. No extreme temperature spikes. Just top off your DEF (Diesel Exhaust Fluid) and go. Fuel savings can be furthered with the standard engine shutdown feature — allowing the owner to limit engine idle time (meets requirements for an idle reduction device). 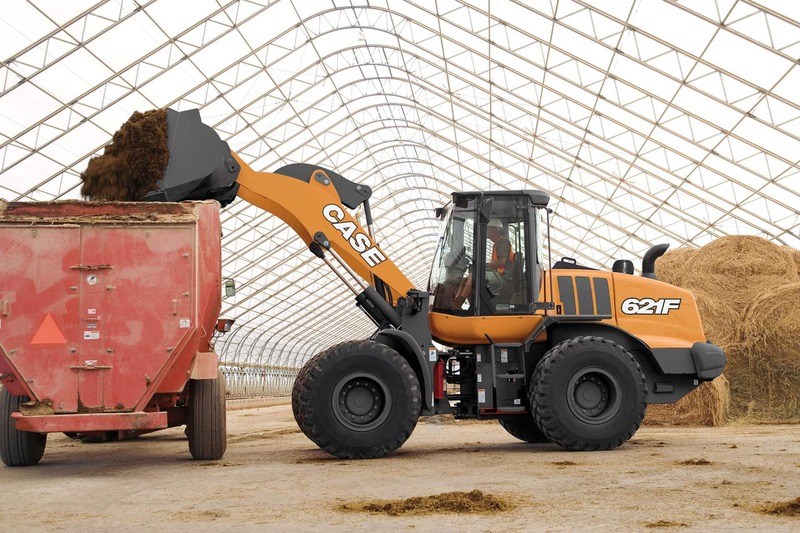 The 621F offers one of the industry’s quietest and most spacious cabs with class-leading visibility thanks to floor-to-ceiling windows and a low rear hood. Visibility can be enhanced even more with the optional rear-view camera. And an ISO-mount design, dual air filtration system and optional heated, air-ride seat help provide operators daylong comfort. Our award-winning joystick steering (another CASE exclusive) also helps reduce operator fatigue. 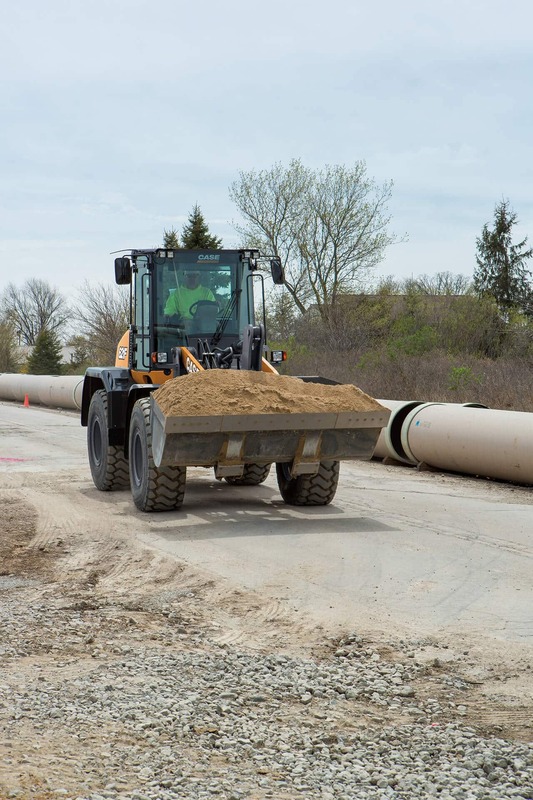 Tire wear on hard surfaces, along with applications using solid foam-filled tires can be reduced with the optional heavy duty axles with hydraulically locking front differentials. Routine cleaning is a breeze due to the cooling module position that limits debris buildup. And daily maintenance is made easy thanks to ground-level service checks, eye-level fluid gauges and an electronically lifted rear hood that provides complete engine access. Warning lights: Parking brake, Coolant temperature, Hydraulic oil temperature, Transmission oil temperature, Air filter, Transmission filter, Alternator, Low fuel;, Grid heater*, Brake pressure, Engine oil pressure, Steering pressure.